It’s interesting how something as simple as breakfast can have such a dramatic impact. This impact is no more evident than on children. Several studies have shown that when children have breakfast (at home or school) not only do test scores improve but behavior-related issues like tardiness and suspensions decrease drastically. Traditionally, a certain stigma has been associated with any free/reduced lunch or breakfast program. 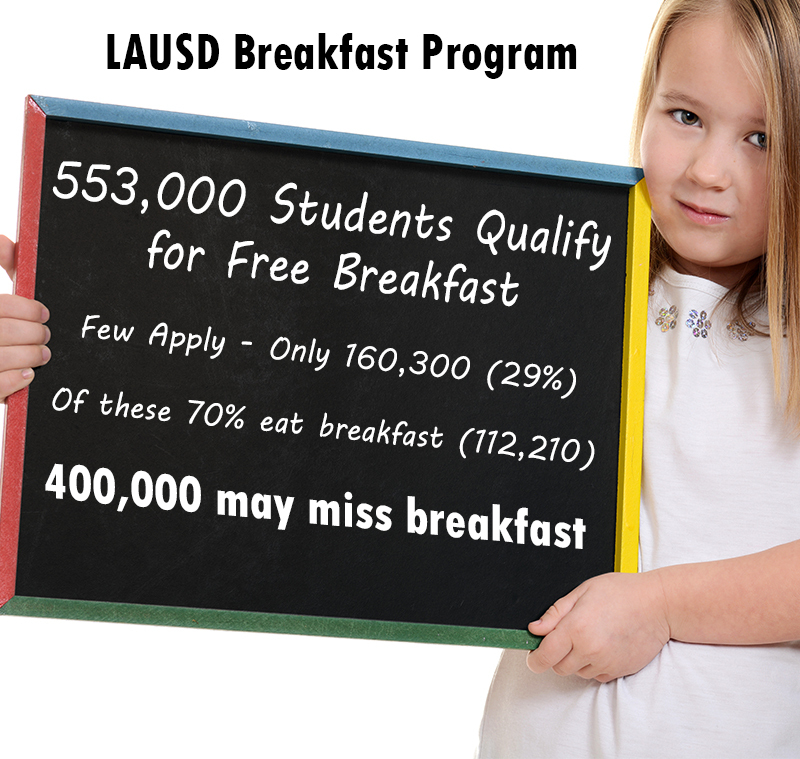 To counter this and to increase overall participation in the breakfast program many school districts are offering free breakfast to all children without any income qualifications. One example is Palm Middle School in the Los Angeles Unified School District (LAUSD). In an effort to increase breakfast participation and academic performance, the Palm Middle School will be serving both hot and cold menu items. On the two Hot Foods Days, nourishing, easy to eat items such as burritos will be served and the Cold Food Days nutritious items such as cold cereal, blueberry muffins and granola bars will be offered. Whether delivered to the classrooms in temperature controlled carts or offered in “grab n go” service near the entrance, all students will have the chance to start the day ready to learn. For resources and ideas to increase breakfast or lunch participation at your school, visit www.cambro.com/schools.